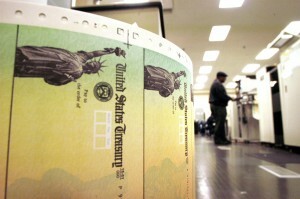 Social Security rules are complicated and change often. For the most recent “Ask Larry” columns, check out maximizemysocialsecurity.com/ask-larry. 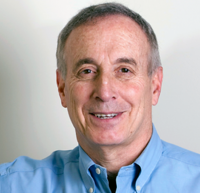 Editor’s Note: Boston University economist Larry Kotlikoff has spent every week, for over three years, answering questions about what is likely your largest financial asset — your Social Security benefits. His Social Security columns have prompted so many of you to write in that we feature “Ask Larry” every Monday. Find a complete list of his columns here. And keep sending us your Social Security questions. Kotlikoff’s state-of-the-art retirement software is available here, for free, in its “basic” version. His book, “Get What’s Yours — the Secrets to Maxing Out Your Social Security Benefits,” (co-authored with Paul Solman and Making Sen$e Medicare columnist Phil Moeller) was published before the changes from the Bipartisan Budget Act of 2015 went into effect. The three authors are now doing an overhaul of the book. The new version of “Get What’s Yours” should be out this spring. Kotlikoff has been keeping readers updated on how the budget act changes a number of Social Security rules with “This is not how you fix Social Security,” “Congress is pulling the rug out from people’s retirement decisions” and “12 secrets to maximizing your Social Security benefits under the new rules,” as well as his answers to viewer questions. We’ll continue publishing updates on what this new law means for you. Stay tuned. Desperate (and discouraged) in Minnesota: I am 67 and attempting to “file and suspend” (based on the recommendations from the software tool) so that my wife can receive spousal benefits when she reaches 66 in February 2017. I am running in to many hassles with the Social Security Administration as described below. I sent a certified letter in early February to request my benefits to be suspended. The local office called to tell me that I need to file the form online. When I explained that all I needed to do was send the letter, the representative said this was not true. As a follow up, I called the main Social Security Administration number twice. The first representative told me to file online and specify in the remarks section that I want to suspend benefits. I am reluctant to do that, because on another part of the form it asks when I want to start receiving benefits, and the latest date I can select is six months from the date of the application! The second representative told me I could file and suspend (again online), but insisted that my wife also had to file and start collecting spousal benefits now (when she is only 65). I have an appointment on March 11, and I want to make sure that the Social Security Administration gets it right. Is there any information that you can provide that will help me get my voluntary suspension in place? I found your reference to the “Conditions for Voluntary Suspension” (GN02409.110). Do I need anything else to drive my point home to them? Larry: See this column as well as this one for information about how some Social Security representatives were, and likely continue to be, confused about this. My estimate is that half of the Social Security staff is doing what the second staffer you spoke to did — telling you something that is 100 percent wrong with 100 percent certainty. I recommend that you go into the office and specify on your application form that you want to start your retirement benefit immediately (specify the date). In the remarks section, specify that you want to suspend your retirement benefit immediately (specify the same date) and that you will restart your retirement benefit on your 70th birthday and not a minute sooner. You don’t need to mention anything about your wife, who can, and surely should, wait until she reaches 66 to file for just her spousal benefit. At 70, she can file for her retirement benefit when it maxes out. Be assured that I have relayed these repeated and ongoing gross mistakes to top brass at Social Security. As I recently discovered, such mistakes are due to the posting of a highly misleading statement on their website, which remained there for at least six weeks. The statement suggested that both spouses had to be at full retirement age by April 29 for one to collect just a spousal benefit while the other filed and suspended. Whoever placed this misinformation on the website (which has since been taken down) should be sacked. It has caused what must be thousands of people like you terrible stress for nothing. Worse yet, thousands of people have surely taken the incorrect statements by the staff as true and are going to lose tens of thousands of dollars in lifetime benefits by not taking the proper actions in time. Can my ex collect Social Security on my work record? Social Security has sent out urgent new guidance on the new law’s suspension provisions. But they have not included — despite my very strong and repeated urgings — a simple example that would immediately clarify for the staff that a couple like you and your wife can do exactly what you are trying to do — file and suspend and have your wife, who reached 62 before Jan. 2, 2016, file for just a spousal benefit when she reaches full retirement age. I have also pressed the top brass at Social Security to immediately improve the process and procedures by which people file and suspend and file for just one benefit (when they are legally permitted to do so of course). Kathy: I am on Social Security Disability Insurance and also my late husband’s Social Security. I applied for his Social Security after waiting a long time to be approved for my disability, and I have no other income. I was approved and have been getting some of his Social Security and my disability. I am now reaching full retirement age in May. I read that if you get approved for disability after you applied for reduced benefits of your own, the Social Security Administration will reinstate you back to your full benefit. Is this the same widow’s benefits? My husband was on disability with cancer before he died, and then I started getting his money at 60. I hope I am able to receive his full retirement amount as I really need it. I will make an appointment with Social Security, but I hope to get the right information from you before I go in to see them. Larry Kotlikoff: Because the entitlement date of your disability benefit was earlier than the date of your entitlement to widow’s benefits, your reduced widow’s benefit (which you took before full retirement age) will be not be reduced at full retirement age. So this is good news! Nancy: I am a divorced, surviving spouse. I am 66, and I was born in January of 1950. I was receiving an early spousal benefit combined with my own benefit, and I am now eligible for a survivor’s benefit as a result of my former husband’s death. If I file and suspend my own retirement benefit before April 29, will I receive 100 percent of my survivor’s benefit (equal to his primary insurance amount), or will I receive only the excess survivor’s benefit? Larry Kotlikoff: You will collect only an excess widow’s benefit. This is a terrible injustice. You are collecting your own retirement benefit, and as a result, Social Security is depriving you of most or all of what is essentially a life insurance policy that your husband paid for by contributing 12.4 percent of his pay since he began work. (Yes, this includes the so-called employer’s share, but it came out of your husband’s compensation). I’m very sorry to deliver this news.